The Best Seattle Lifestyle Blogs from thousands of Seattle Lifestyle blogs in our index using search and social metrics. We’ve carefully selected these websites because they are actively working to educate, inspire, and empower their readers with frequent updates and high-quality information. 2.17 Lace & Pearls | A Seattle Style blog. Seattle Lifestyle newsletter is a comprehensive summary of the day's most important blog posts and news articles from the best Seattle Lifestyle websites on the web, and delivered to your email inbox each morning. To subscribe, simply provide us with your email address. Facebook fans 460,069. Twitter followers 44,020. Seattle, WA, USA About Blog Hi there! I’m Megan — a Seattle-based fashion, beauty, and lifestyle blogger. Follow along for style tips, beauty favorites, and day-to-day adventures of a city-loving gal. Facebook fans n/a. Twitter followers 1,997. West Seattle About Blog All about the West Seattle neighborhood around Beach Drive. Facebook fans 598. Twitter followers 457. Seattle, WA About Blog Tiny Cup of Cake is a Seattle based life and style blog. I (Grace) share affordable fashion, provide detailed reviews of makeup and beauty products and services, and the occasional travel post about where to eat and what to do. On the lifestyle front, I often share posts that dig a little deeper and write about topics that will help other Millenial women in life - whether it's giving my advice on how to make the most of your internship or how to survive living on your own for the first time. Facebook fans 273. Twitter followers 461. Seattle About Blog Hi there! I'm Tiffany - I live in Seattle, I'm married to my best friend, mommy to the sweetest little girl. This Blog is about designer bags, Chanel bags, vintage chanel bags, Amazon Fashion and Nordstrom reviews etc. Facebook fans 4,917. Twitter followers 2,691. Seattle, WA About Blog I'm Carolyn Yuen Marino. A lifestyle blog about personal style, fashion, food and drink, beauty, hair, makeup, and travel. In addition to blogging, I work full-time as a high school English teacher. For undergrad, I majored in English and Law, and I also received my Master in Teaching from the University of Washington. Facebook fans 1,011. Twitter followers 569. Seattle, WA About Blog Welcome to Obsessed by Portia, the lifestyle blog of Portia Smith. Here you'll find the best in beauty, fitness, style, motherhood & travel. Facebook fans 6,991. Twitter followers 3,438. Seattle, WA About Blog This blog is based on my personal take on Fashion, beauty tips, travel ideas, lifestyle based posts(pregnancy, health, food, fitness, life, happiness and more). I am not an expert in any such field and yet to discover my solid niche, henceforth, would love to share whatever I learn from my day to day activities, readings, and life experiences. Seattle, WA About Blog A Seattle lifestyle blogger sharing fashion trends and globetrotting adventures. Facebook fans 730. Twitter followers 1,602. Seattle, WA About Blog Ville Magazine is the premier publication for city lifestyle recognizing the changing demands from locals and newcomers in the greater Seattle area. The provocative, cutting-edge, and modern editorial delivers diverse content in cuisine, cocktails, health, beauty, fashion, entertainment, travel, design, philanthropy, celebrities and pop culture. Facebook fans 19,923. Twitter followers 4,244. Seattle, WA About Blog Hi, I'm Amanda! I'm a Wisconsinite living in sunny Seattle, Washington. Little Tranquility is a place where I share my travels, photography, delicious food, bad jokes, and other musings. Facebook fans 410. Twitter followers 666. Seattle, WA About Blog The official home of Jessica Trufant, a lifestyle blogger, mother of 5 and wife of former NFL player, Marcus Trufant. Not your average mother, living a not-so-average life. Makeup tutorials, life lessons and crazy stories that come with a family of 7. Facebook fans 2,940. Twitter followers 1,195. 17. Lace & Pearls | A Seattle Style blog. Seattle About Blog Helping women who struggle with their personal style or those who just need a fashion fix! Facebook fans 254. Twitter followers 544. About Blog Blog of Seattle travel, food and lifestyle photographer Shannon Douglas including posts on photo shoots, behind the scenes and recipes. About Blog Brooklyn Schugar is a teen fashion and lifestyle blogger based in Seattle sharing her experiences as a teenager. Seattle, WA About Blog The Emerald Palate is a lifestyle blog covering food, fashion, decor, and more. Discover what it's like living tastefully in Seattle and beyond. Seattle, WA About Blog My name is Shaylyn and I am a twenty-something blogging about fashion my travels while living in Seattle, Washington! Facebook fans 258. Twitter followers 106. 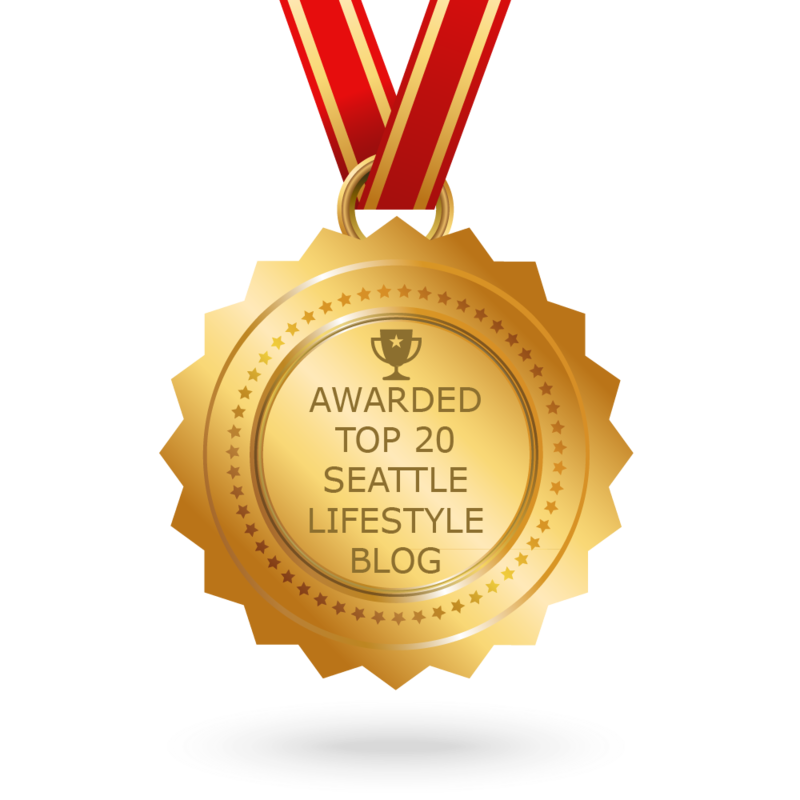 CONGRATULATIONS to every blogger that has made this Top Seattle Lifestyle Blogs list! This is the most comprehensive list of best Seattle Lifestyle blogs on the internet and I’m honoured to have you as part of this! I personally give you a high-five and want to thank you for your contribution to this world.